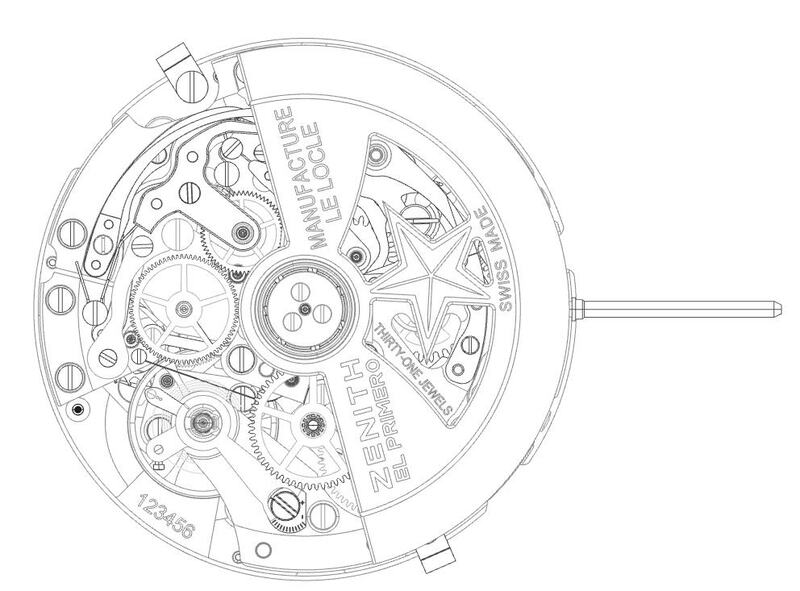 The first automatic chronograph movement to be unveiled to the world, and still in production almost 50 years later. Icons stand the test of time. Born in 1969, El Primero (the first in Spanish) is still regarded as one of the best and most accurate chronograph movements ever created. Part of a trilogy of automatic chronograph calibres that hit the market in 1969, it is the only one that is still produced to date. As Zenith prepares to celebrate the 50th anniversary of this legendary calibre next year, MONOCHROME takes a look back at its history and design. Chronograph wristwatches have existed since the beginning of the 20th century (around 1912 or 1913 for the earliest examples) but all of them were fitted with hand-wound movements. In the 1960s, it was time for the chronograph to modernise itself, by adding the practicality and comfort of automatic winding. Watchmakers embarked on a genuine race to develop the first self-winding chronograph. Three parties started to develop their own project, each with their own merits and their own technical vision. The Chronomatic was the project of a consortium uniting Heuer, Breitling, Hamilton-Buren and chronograph specialist Dubois-Depraz. It conceived the Calibre 11, a modular construction based on a micro-rotor Buren movement and a Dubois-Depraz chronograph mechanism. The Seiko 6139 calibre was a 27mm integrated column wheel chronograph with vertical coupling and beating at 21,600 vibrations/hour (or 3Hz). 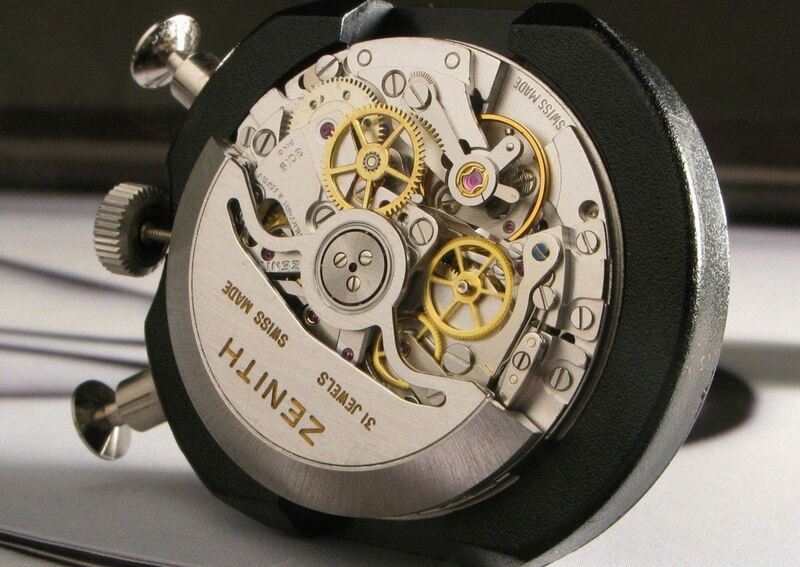 The Zenith – code-named 3019 PHC calibre – was a high-frequency integrated chronograph with a horizontal clutch. Better known as El Primero, this development was initiated in 1962 with the goal of presenting the movement in 1965 to coincide with the centenary of the brand. The calibre was also named ‘Datron HS 36’ at Movado, which commercialised the movement under the Zenith-Movado-Mondia consortium. 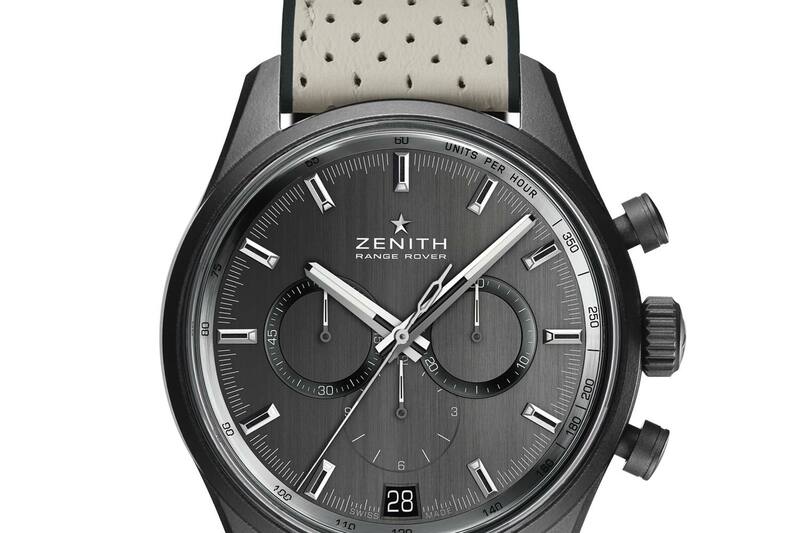 The Zenith automatic chronograph was the first to be unveiled to the world. It was presented in January 1969 in a press conference and aptly christened El Primero (first in Spanish). The reality is a bit more complex. There are many debates about which was the first automatic chronograph, as both the Seiko and the Chronomatic movements were announced later the same year. What’s more, El Primero was not the first to hit the market. The debate about who came first doesn’t really matter anymore … but what is important is the indisputable fact that there are very few movements, in particular, chronograph movements, that can simultaneously celebrate half a centenary and continue to be produced to power watches. This simple fact stands as evidence of El Primero’s importance and enduring design. In the 1970s, the post-war global economic boom came to an end. The new, accurate quartz watches gained popularity and plunged the Swiss watch industry in a deep crisis. Zenith was sold to an American company called the Zenith Radio Corporation. 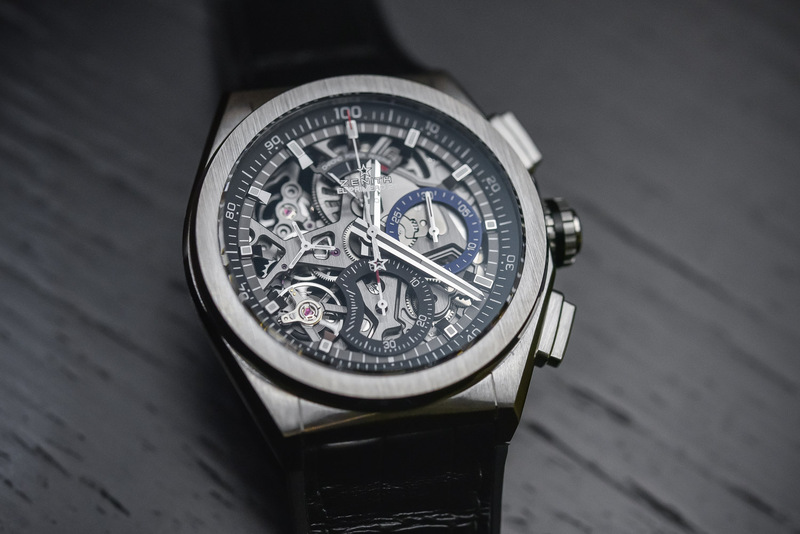 Aiming to market quartz watches exclusively, the Chicago-based company decided to stop the production of all mechanical movements, included that of the El Primero calibre. Charles Vermot, a specialist in chronograph movement construction had followed the development of El Primero since its inception and spent his entire career within the Manufacture. Knowing that the production of mechanical movements at Zenith was about to stop, he decided to store the essential elements away safely. Evening after evening, he began secretly hiding the presses (150 of them), the technical plans, the cams and the cutting tools. 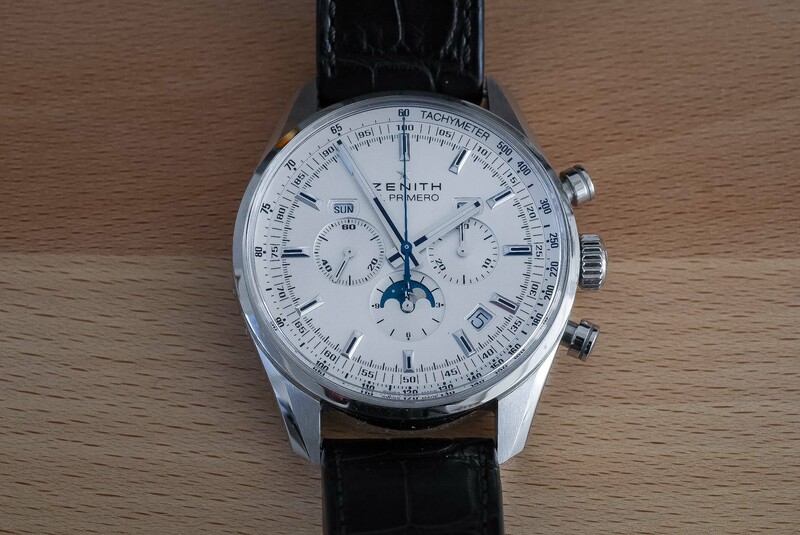 The news was greeted with great dismay by Charles Vermot, who had spent years working with Zenith and had followed the development of El Primero ever since the first sketches came to life. Ignoring orders, Vermot secretly hid all the equipment and tooling necessary for the production of the chronograph the brand had invested so much time and money in developing. Beyond its historical importance, the longevity of El Primero speaks for itself. This automatic chronograph features a compact and comprehensive construction and – considering its relatively small size and the high frequency of its oscillator – boasts an optimised power reserve. Needless to say, it has proved to be reliable. It features a 3-6-9 layout providing a balanced look. High-beat wristwatches are pretty rare, especially back in 1969. Girard-Perregaux was advertising the serial production of high-beat wristwatches in the mid-1960s as a major achievement, a feat that merited outstanding results at the Neuchatel Observatory trials. Girard-Perregaux and the Fabriques d’Assortiments Réunis (F.A.R.) laboratory were awarded the Centenary Prize of the Neuchatel Observatory in 1966. F.A.R was also being tasked with the development of the El Primero high-frequency regulator. In a nutshell, high-frequency movements are supposed to be more precise (in theory, as there are many factors influencing the precision of a movement). Operating at 36,000 vibrations/hours, the seconds hand of El Primero performs 10 jumps per second – meaning that it has the ability to measure a tenth of a second. 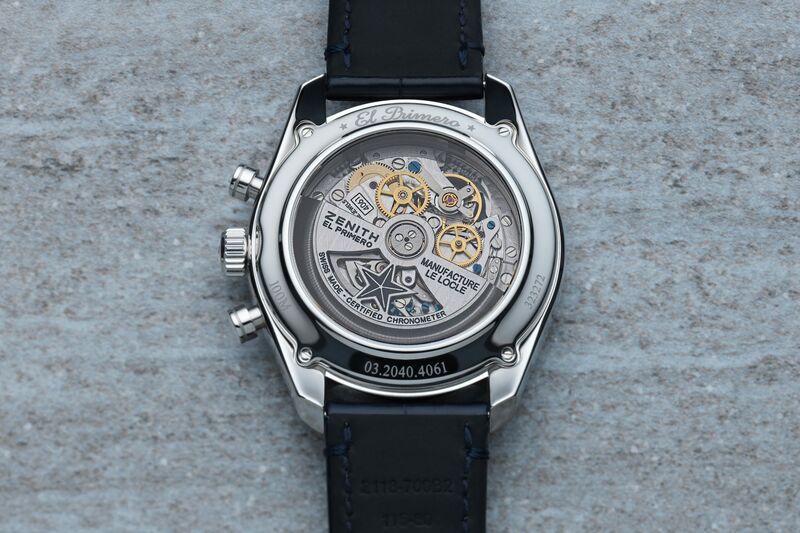 Finally, the seconds hand of the chronograph sweeps smoothly and is a evidence of the superb engine inside the case. El Primero is a column wheel actuated chronograph, opting for the most traditional and noble system to command the start, stop and reset functions of the chronograph. Cam actuated chronographs are also robust and reliable, but this simpler cost-effective solution lacks the allure of the column wheel. Also, the start of the chronograph is more accurate and the feeling when pressing the pushers is far smoother with a column wheel movement. 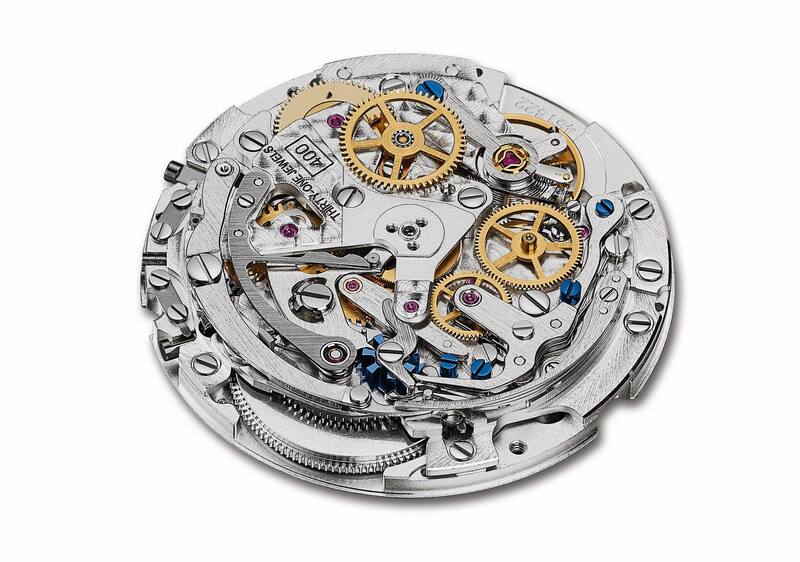 The coupling between the chronograph and time-keeping gear train is performed by a horizontal clutch. The horizontal clutch is, without a doubt, the most visually appealing solution. 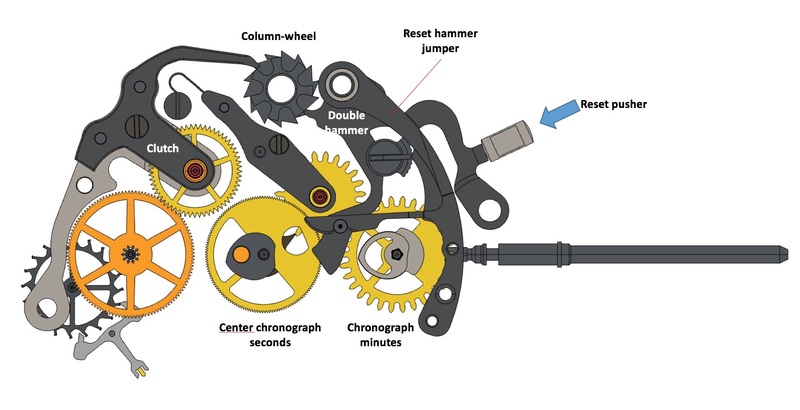 The gear, which is free to pivot left and right (horizontally), allows the connection of the gear train to the chronograph’s centre wheel. However, the modern vertical clutch is often regarded as a technically more efficient solution. 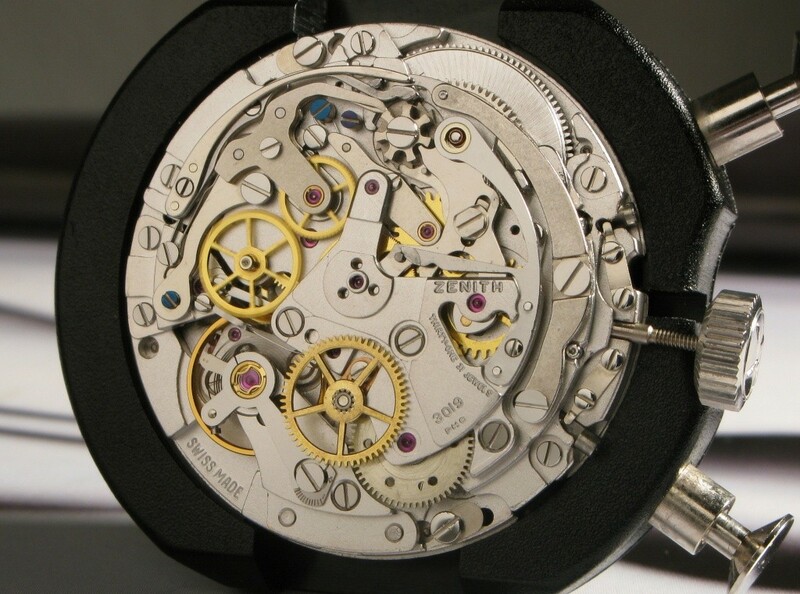 The coupling is made vertically by friction and unlike horizontal clutches, there are no teeth to engage or disengage (which may cause the jump of the chronograph seconds hand when the teeth mesh and wear over time). Still, the horizontal clutch makes for a much nicer movement, with most parts being visible when looking through the sapphire caseback. Two hammers are used to respectively reset the seconds and minute heart-shaped cams and the hour heart-shaped cam. The reset mechanism incorporates a reset hammer jumper allowing for a smooth, complete function resetting. 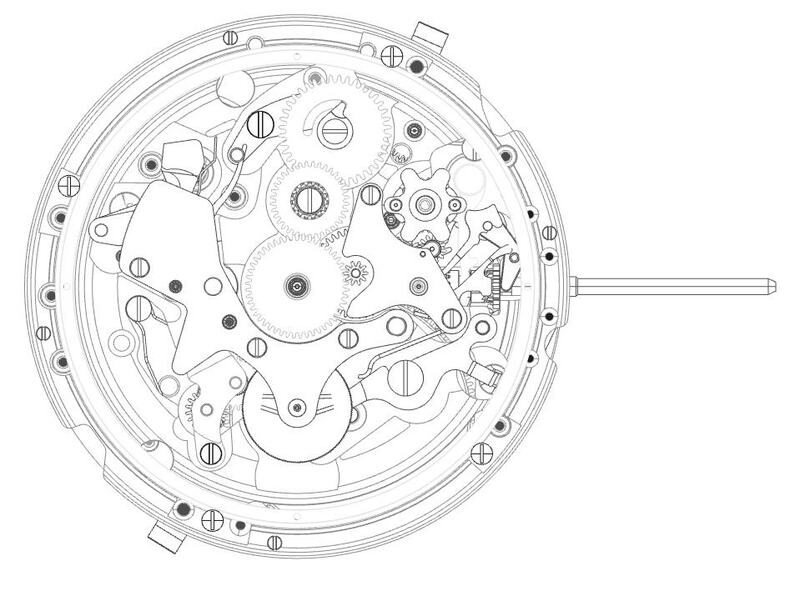 The El Primero reset mechanism (seconds and minutes) represented with its hammer jumper. When pressing the reset pusher, the double reset hammer falls on the heart-shaped cams to reset the chronograph seconds and minutes. The hammer also disconnects the chronograph second and minute mobiles. The jumper has stored energy when starting the chronograph, allowing for a smooth, precise reset. In its 50-year history, El Primero has evolved in many directions. The re-industrialisation of the movement in 1987 (reference 400) was the occasion to introduce several improvements. But the movement has also been updated in the frame of continuous optimisation, in particular, by incorporating modern technologies to evolve in synchrony with the times. The watch industry has undergone extensive industrialisation and modernisation. For instance, modernised gears and springs, ceramic ball bearings or more recently LIGA-produced heart-shaped cams (allowing for even more efficiency than stamped parts) are used inside El Primero. 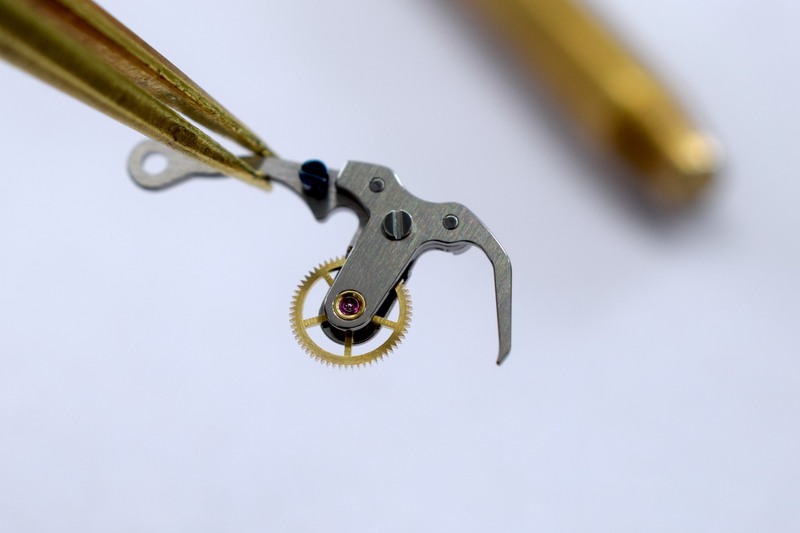 A silicon escapement (with banking integrated into the anchor) has been introduced as of 2014 and is widely used on the open-heart versions. 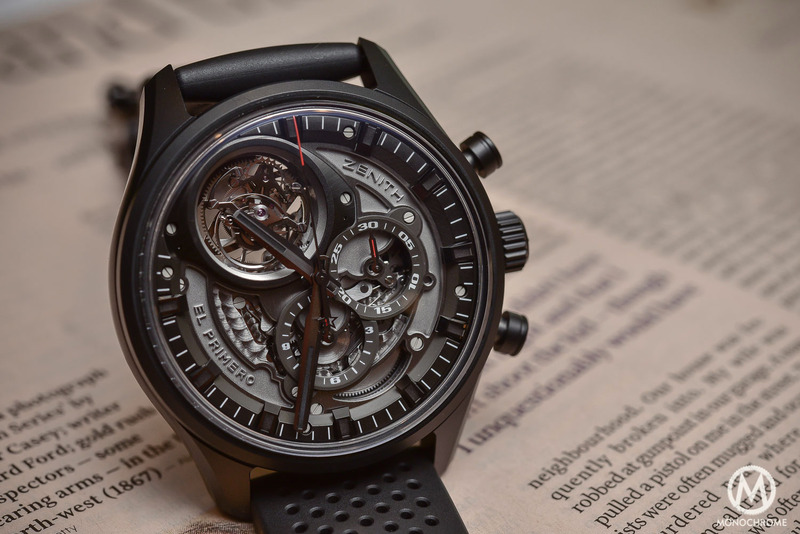 And naturally, El Primero has been upgraded with numerous additional functions and features: calendars, tourbillon, moon phases, fly-back, power reserve indicators, additional time zones or the impressive El Primero Striking whose central seconds hands makes a complete rotation in 10 seconds, each of its steps precisely indicating a 1/10th of a second against the 100 graduations on the dial. 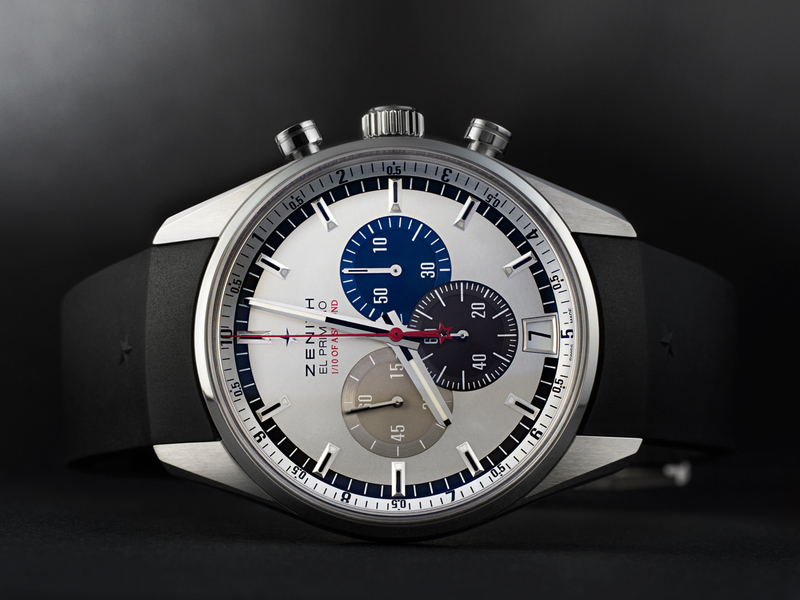 Since 1969, over 70 versions of El Primero have been referenced by Zenith: 3019 PHC, 3019 PHF, 400, 400 Z, 410, 410 Z, 405, 405 Z, 420, 420 Z, 4000 SX, 4001, 4002, 4003, 4003C, 4005, 4005 C, 4009, 4010, 4021, 4021 B, 4021 CN, 4021 FN, 4021 J1, 4021 J2, 4021 H, 4021 SC, 4021 SX, 4026, 4031, 4033, 4034, 4035, 4035 SC, 4035 SX, 4037, 4039, 4041, 4100 B, 8800, 4046, 4047, 8801, 8804, 400 B, 4052, 4052 B, 4055 B, 8808, 4021 P, 4035 D, 405 B, 4054 B, 4057 B, 410B, 4061, 4062, 4650, 8805, 8804 S, 4063, 4052 W, 8805 X, 4041 C, 4613, 4810, 400 W, 4047 B, 4069, 405 C, 4035 B, 4805. 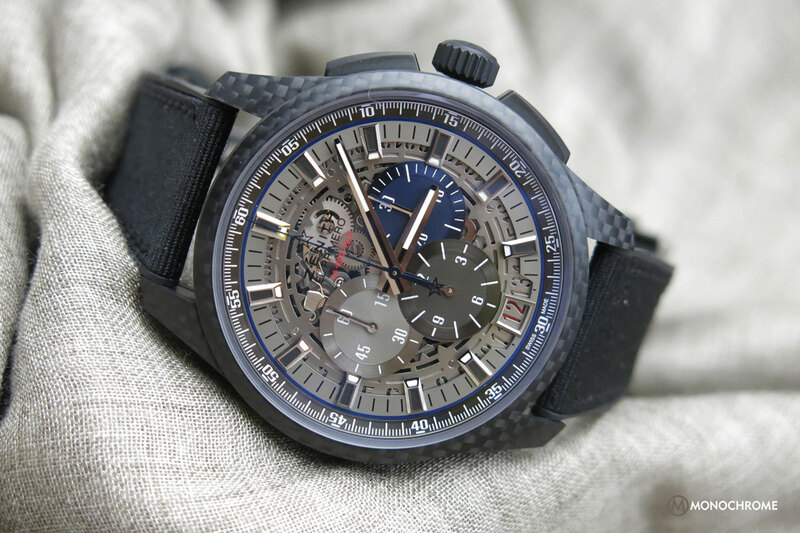 One of the latest ‘El Primero’ versions is cased in the Defy El Primero 21. 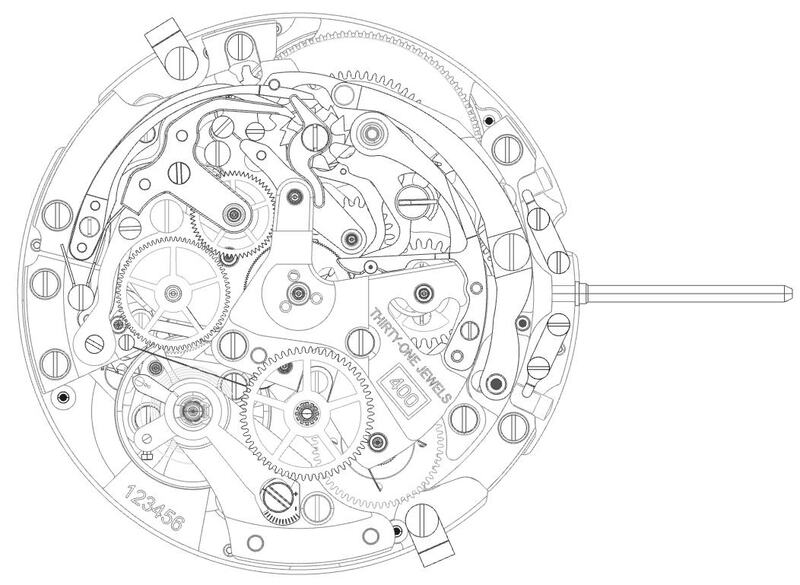 This movement is based on El Primero for the time indication (barrel, going train and oscillator) and operates at 5Hz. But, this time indication is not driving the chronograph mechanism anymore, which is now a fully independent mechanism with its own energy storage and oscillator. Running at a mind-blowing 50Hz frequency, the latter required a brand-new development! 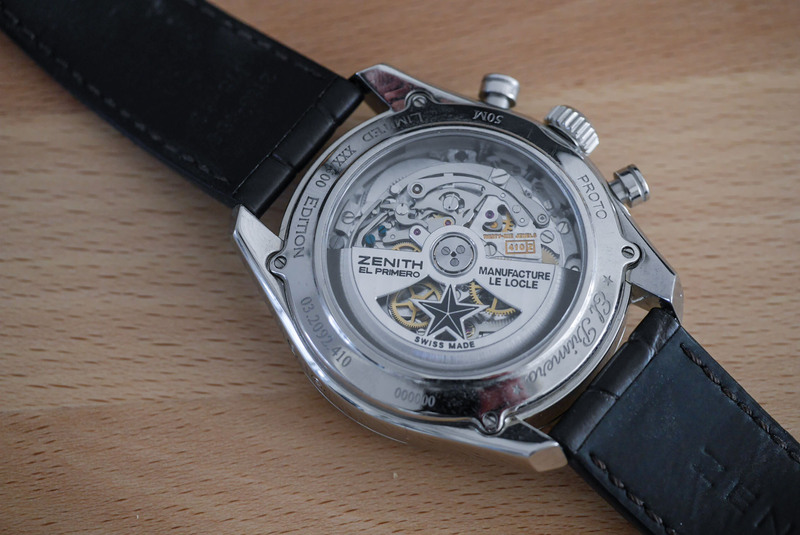 For more information, visit www.zenith-watches.com. Frequency: 36,000 vibrations/hour or 5 Hz. Always like the El Primero chronographs. Elegant pieces of kit. Not sure with the current direction Zenith is taking under LVMH umbrella though. Their Pilot (or Extra Special or whatever they call it) line has gone all hipster – did you see the last video ad they had for some “cafe racer” variant of the watch? They had some chap in tight leather faffing about on a chopper. Truly cringe-worthy. Also way too many El Primero variants around, some barely different, yet given a “Special Edition” stamp for no apparent reason. That and reported quality control issues that many of the LVMH owned watchmakers seem to be suffering. Not saying Zenith suffers from these, but it is concerning. 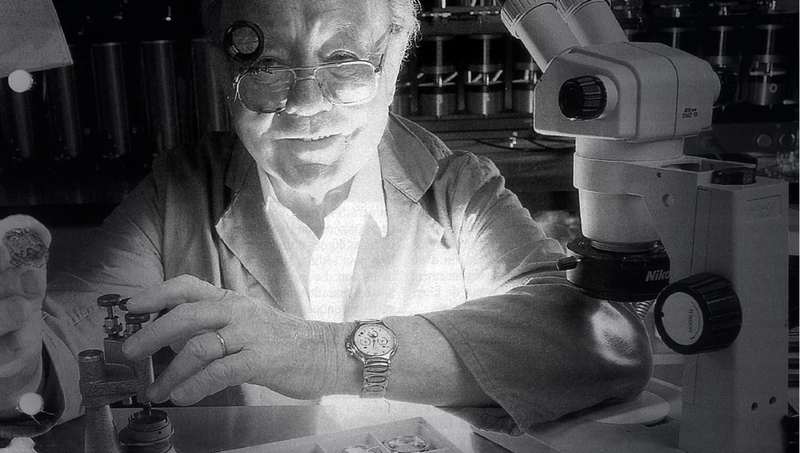 Good for Vermot, a true hero who could see beyond the obtuse executives who knew nothing about watchmaking. 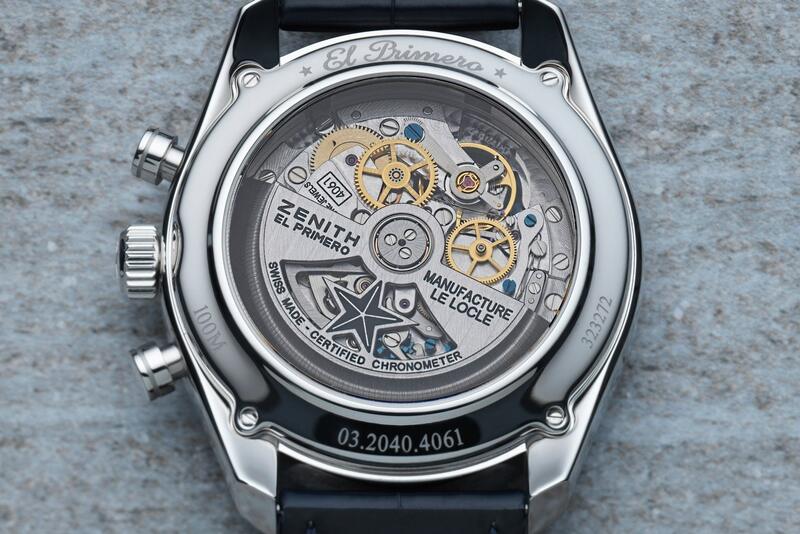 El Primero – a legendary movement. 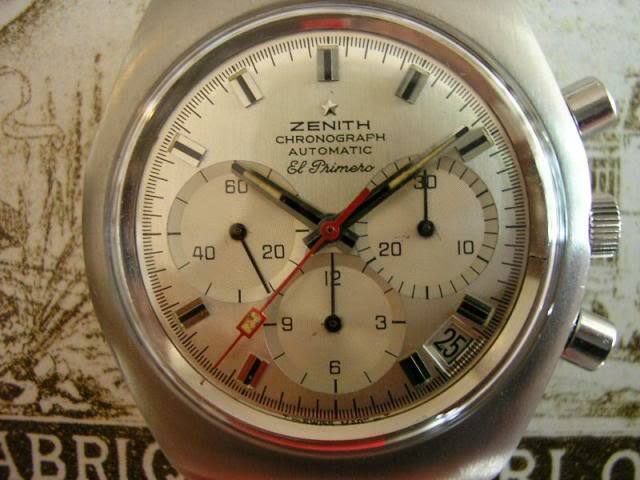 I’m aware that Concord built full calendar chronograph models under license from Zenith c. 1980s. If this is true why are Concord’s offerings not mentioned in this article? Zenith radios were a quality product in the 70s’ , as are the watches today. Zeniths new direction under LVMH umbrella spells certain doom and it’s very very upsetting. Their new ads with the Hipster in leather asschaps says it all. At least I still have many other wonderful watch makers to buy from and follow.